What Is It and How to Deal with It? No part of this book may be reproduced or used for commercial purposes without the author’s express permission. In Islamic culture, this is referred to as Ijazah. Its violation is a sin and adherence to it is a source of blessing – Barakah. In the Western culture – and law – it is called Copyright. There are penalties associated with its violation. It is also part of the overall Intellectual Property Rights that are protected and enforceable internationally. The same is true of using ideas and quotes from the book – or from any other writing or speech by anyone – for educational or other purposes. This should not be done without crediting the source properly and clearly. That means any ideas, points or words taken out of a book must be attributed to the author of the book every time they are used in speech or writing – whether it is this book or some other book; whether it is an Islamic book or a non-Islamic book; whether the author is a Muslim or a non-Muslim. Failure to do this constitutes theft – Sariqah – from an Islamic point of view. At best it is irresponsible behavior, and it betrays a serious lack of proper manners and morals – Adab and Akhlaq. In English language this is called plagiarism. Students fail courses and are sometimes thrown out of universities and colleges for plagiarizing. Authors and professors get a major black mark against their name – and quite possibly a serious setback to their careers. The overlap between the Islamic and Western cultural traditions and legal systems – whether on this or any other point – derives from their common origins in the books of Allah and in the teachings and practices of the messengers of Allah from Noah, Abraham, Moses and Jesus to Muhammad, Sallallahu wa Sallam Alaihim Ajma’een – May Allah bless them all! 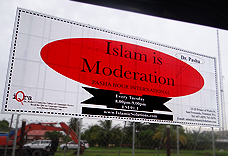 Common mooring of Islam with other Faiths of the Book – such as Judaism and Christianity – is one of the central themes of the Qur’an. This commonness of roots is a theme that is introduced right at the beginning of the Qur’an in Surah 2, Al- Baqarah, Ayah 4. It is also a theme the Qur’an returns to over and over again. As a result, belief in the shared origin of these faiths is a central part of belief in the Qur’an itself. It is also a requirement for receiving guidance from the text and teachings of the Qur’an. In other words it is part of the requirements of being a Muslim. That means, Muslims could not call themselves believers in Prophet Muhammad, Sallallahu Alaihi wa Sallam, unless they also call themselves believers in Prophets Moses and Jesus, Alaihimas Salam – may Allah bless them both. There is barely another example in the entire human history of one faith conferring such high honors on the major figures of another faith. Unfortunately, however, it is also something that few Muslims, and fewer non-Muslims, know or fully understand in a practical contemporary sense – beyond a cliché that many may repeat routinely. The consequences of this ignorance and lack of understanding have been deadly for both parties – Muslims and non-Muslims alike. Not the least at the present time when much of the contemporary world is rocked and sundered by a failure of the Islamic and Western cultures to understand, come to terms and work with one another. The responsibility for ideas expressed in this book is entirely my own, as I purport to represent or speak for no individual, group, organization, association, institution, country, society, culture, civilization or people. Cultural illiteracy and insensitivity cause not only minor irritations in human relations and encounters, but also serious tragedy and terror on a world scale. So far as humanity is concerned they are worse than the common cold. For, unlike common cold, cultural conflict is a deadly disease at the heart of which lies ignorance – either real or artificially imposed – and the slavery of the mind that results from it. A slave mind then gets filled with prejudice, which, if left unchecked ripens into hate – at times pathological hate – that leads to large-scale violence and killings. Truth, therefore, is central to a proper understanding of one culture by another, of one people by another. Truth is also central to a proper understanding of human beings of themselves as well as of their role in society and in relation to other societies. So also is truth central for a fair, just and lasting resolution of issues and problems between peoples, cultures, societies and civilizations. Thus, no matter how you look at it, truth is key to human life on earth. On the one hand, it is key to human liberty. At the same time – and necessarily so – truth is also key to security, stability, peace, harmony and prosperity. 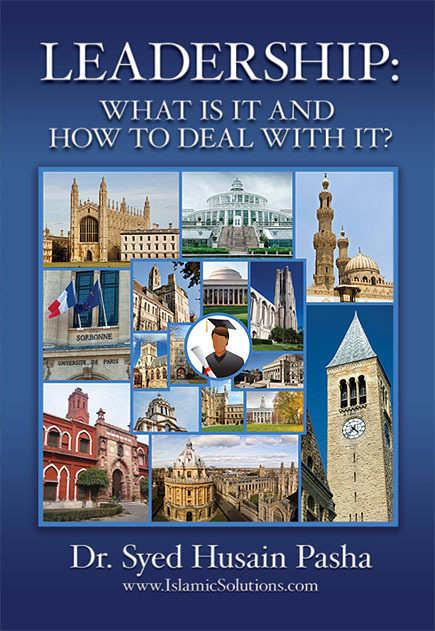 This book is part of a long-standing effort by the author to enhance cultural understanding and cooperation in a world troubled by cultural illiteracy, confusion and misunderstanding and home to the strife and violence that result from them. This book is an effort to offer humanity a cure for this sad state of affairs, which seems to afflict it like a chronic cold if not worse – a serious affliction of the head and the heart that if left unaddressed could produce serious consequences for the patient. Among the deadly and diabolical consequences produced by this affliction is the entire episode of September 11, 2001, as well as its aftermath.